Do you ever have those nights when your body somehow forgets it’s supposed to sleep? Ya? That’s exactly the kind of night I’m having right now.. It’s 4:22am and I’m sitting wide-eyed with about two hours of sleep under my belt. I finally gave in to the sleepless night and decided to be a little productive.. I’m doing my best to type quietly as not to wake up hubs aka sleeping beauty right now.. 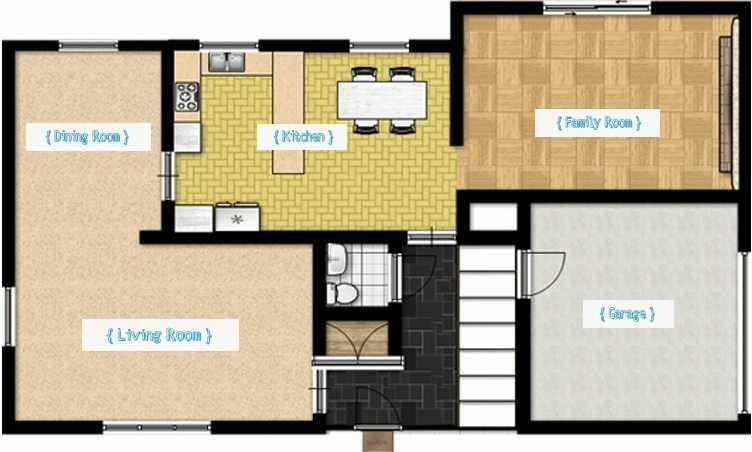 Anyway.. Josh and I moved into a house with an extremely standard floor plan. 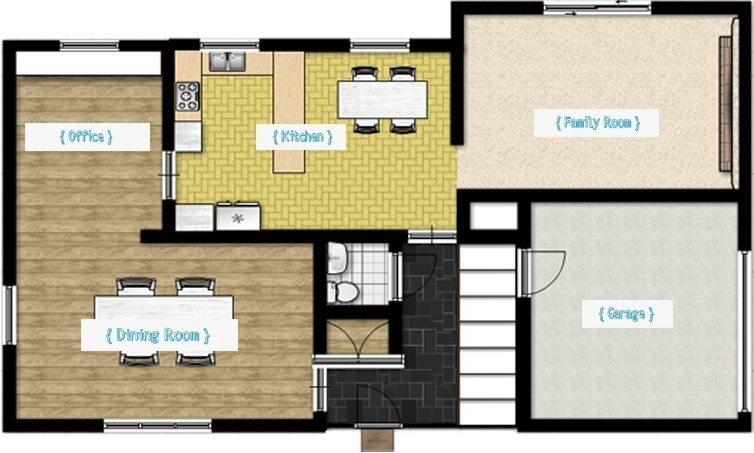 In fact, my nana and pa’s house is set up about the same as ours, and we know at least five more people with very similar layouts. 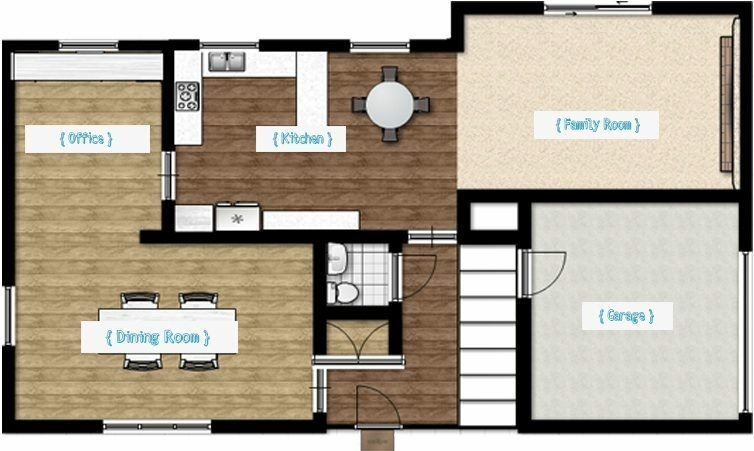 We moved in having the house set up as originally intended with a family room, kitchen/nook, dining room, and living room on the main floor. If you know me well, you know I’m a sucker for good deals and even more of a sucker for free things. Can anyone else relate!? I often hear about my frugal ways from Josh but I think I’ve rubbed off on him more than he realizes. Just recently he came home from Target but didn’t buy what he went for because, “It wasn’t on sale..” That secretly melted my heart.. That’s how crazy I am about good deals people. Needless to say, all of our house improvements have been done on the cheap, in fact, this specific project was FREE! 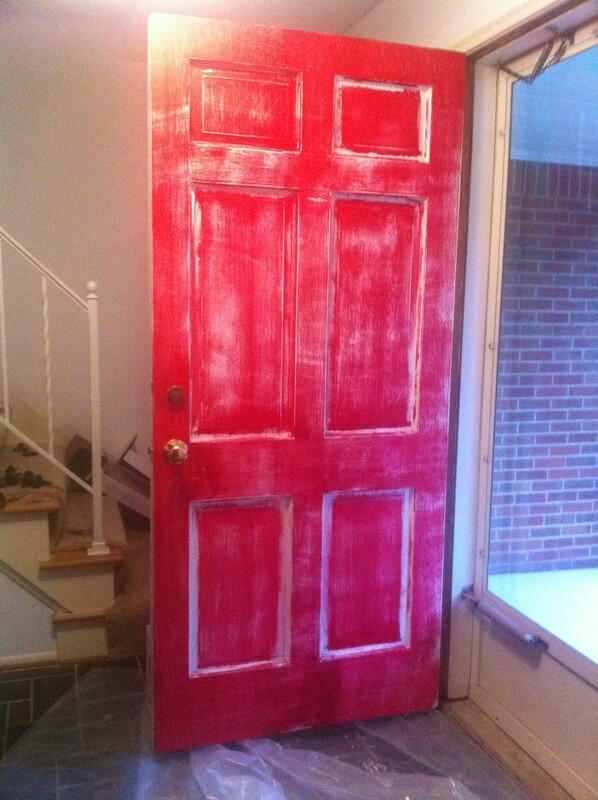 But all we were left with after this FREE project was a pink front door… Yep.. a pink front door. 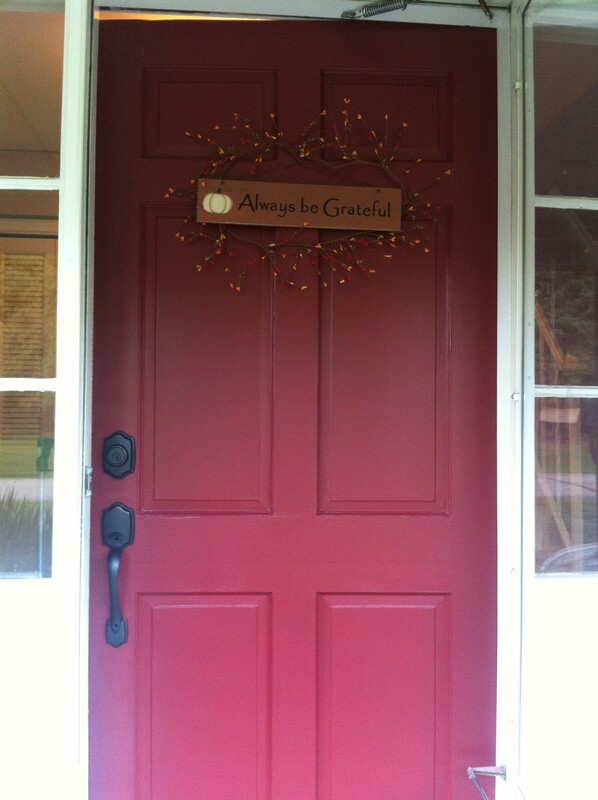 I’ve always dreamed of having a red front door for some reason. When I found out Glidden was giving away free quarts of paint, I signed up for what I thought was a deep red hue and had Josh do the same so that we would have two quarts of paint specifically for our front door. Shortly after moving in, Josh decided on a nice fall afternoon to sand our ghostly white door down and slap on the new paint color. I started getting worried after the first coat and kept telling myself it would dry darker and after the second coat it would for sure look like it did in my dreams. 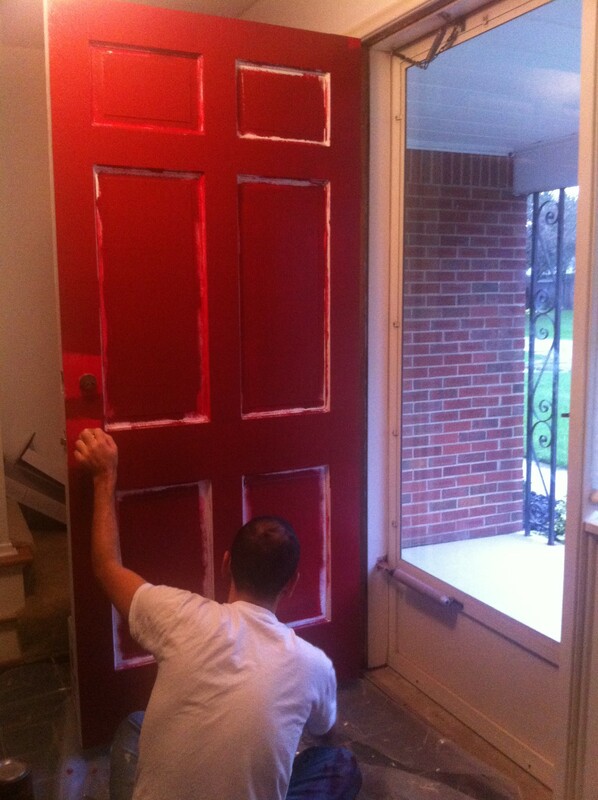 But we knew after just one coat that it wasn’t even worth it to keep going.. not only was the color awful but the paint did not take well to our door. J & I couldn’t even stand to keep the door that color over night so we immediately went to Sherwin Williams and bought a new color.. I guess free wasn’t so free after all! Even from the first coat we could tell that this color was a MUCH better choice. Welcome to Film Friday! Friday’s will now be various videos/films that Josh & I take here and there. Here’s one from ripping up the carpet about a year ago!